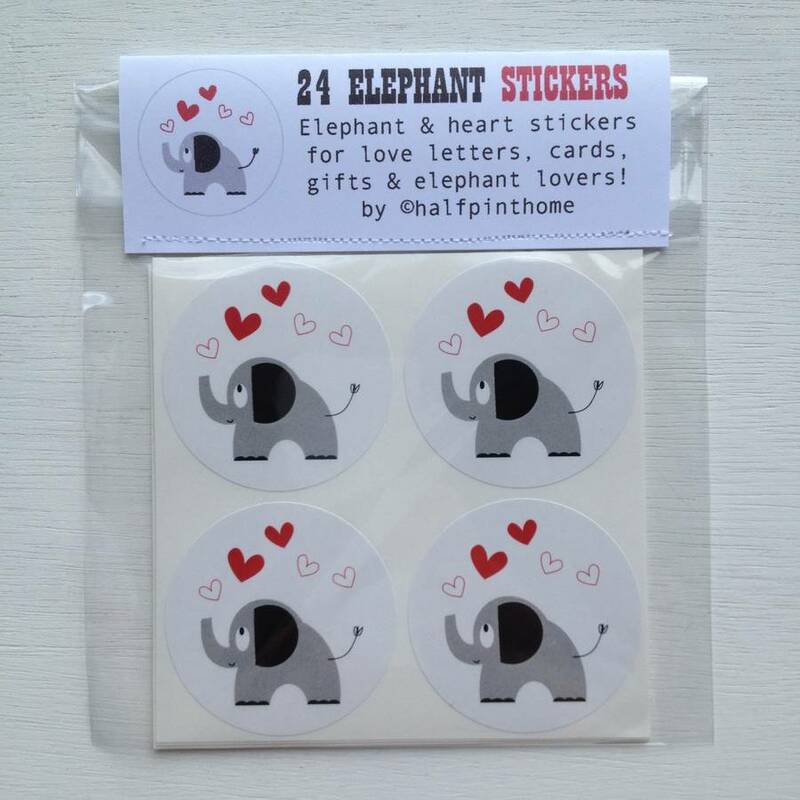 24 large glossy elephant and heart stickers which are super cute to add to party bags, love letters, valentines, thank yous, presents and parcels! 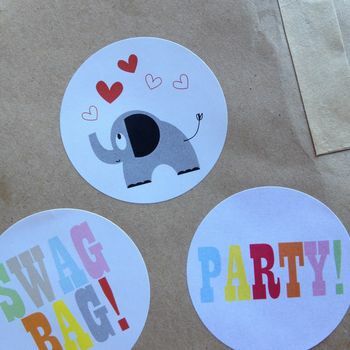 These sweet stickers make great children's party bag stickers to seal goodie bags or pop inside as a treat. 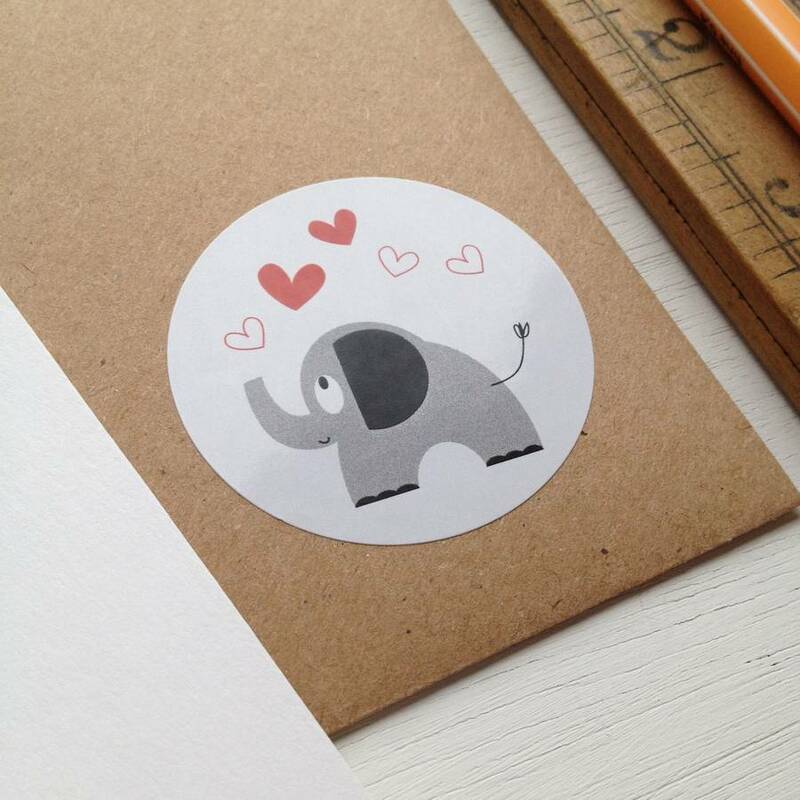 They are also lovely for valentine's cards, love letters and as part of styling wedding stationery. 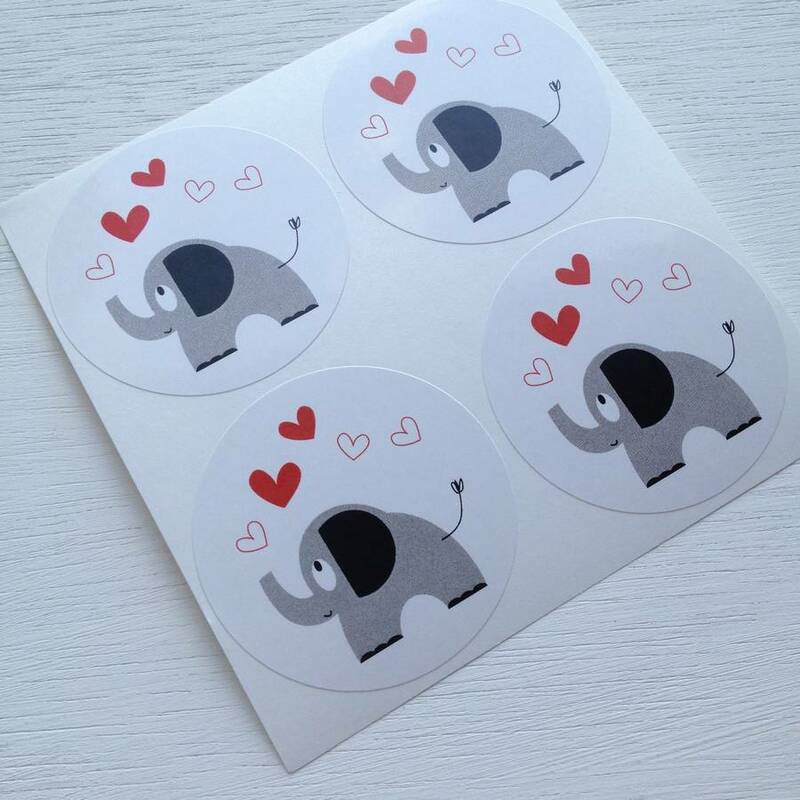 Each sticker is 45mm across and looks great stuck to anything intended to bring a smile! 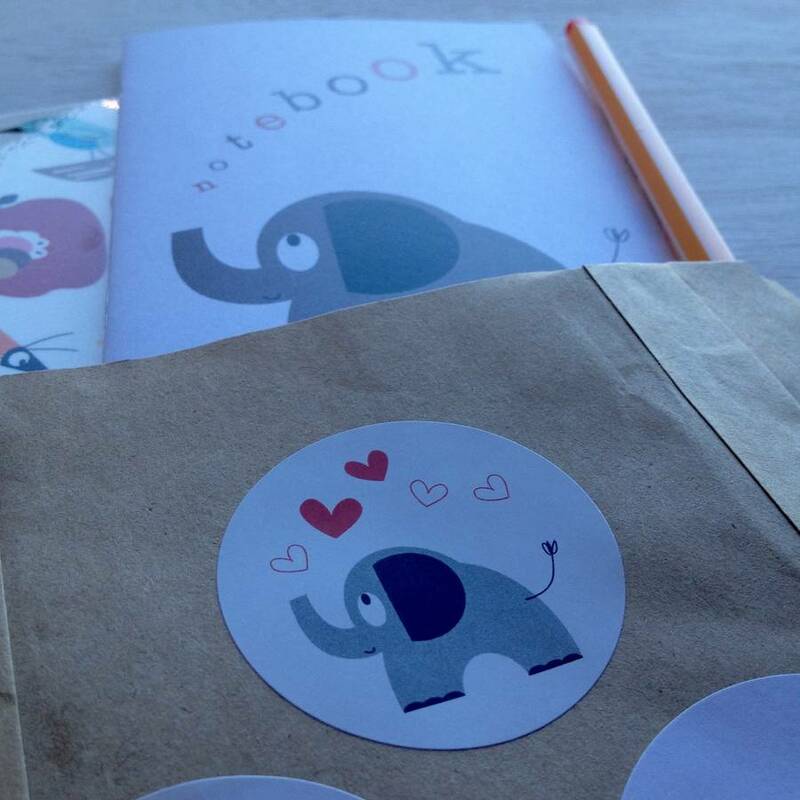 Stickers are packaged in a cello wrap and have a tab top header stitched shut with white cotton thread. 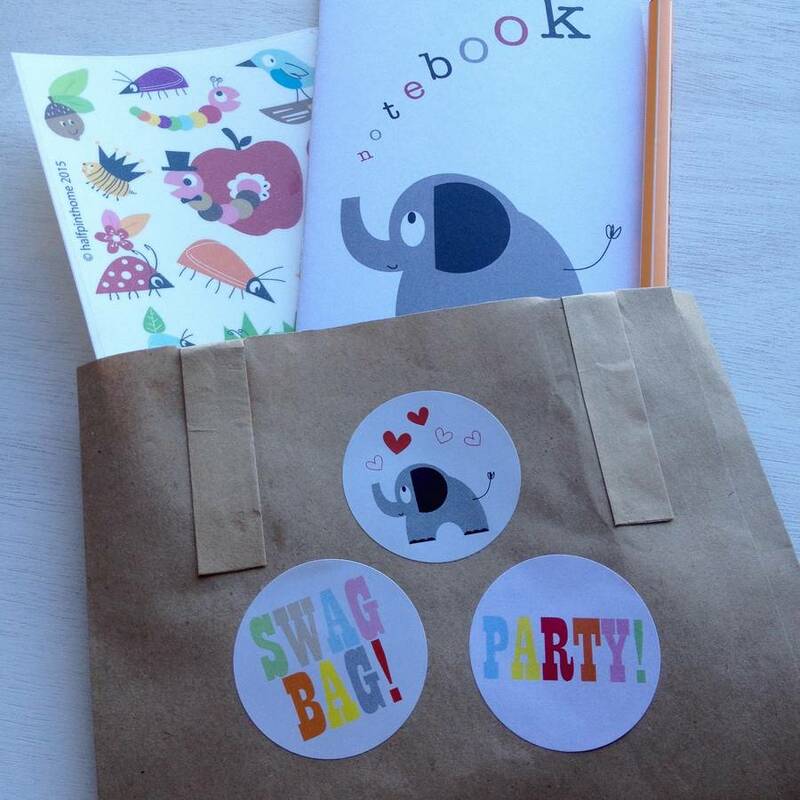 Your stickers will be posted out in a hard backed envelope to ensure a safe arrival. Individual stickers are 45mm across.